In some jobs a significant part of the employee’s remuneration will come through bonus payments. These are usually paid on either a monthly or yearly basis, and can either be based on precisely defined criteria, such as the number of sales made in a given time period, or awarded by the employer on an unspecified discretionary basis. In a redundancy situation, several complex questions arise in relation to bonuses. The standard way of computing an employee’s entitlement to redundancy pay, whether at the minimum statutory level or a more generous contractually-specified payment, is based at its core on the number of weeks worked multiplied by the employee’s gross weekly earnings, modified by the employee’s age. If a worker is paid a fixed regular amount which is occasionally or even regularly supplemented by variable bonus payments, the obvious question is whether the variable bonus payments should be included in the weekly pay calculations and, if so, on what basis. The answer is yes. Where an employee has a constantly varying rate of pay, the normal procedure is to take the average hourly pay in the 12 weeks leading up to redundancy multiplied by the normal working hours in a week, and use that as the basis for calculations. If bonuses are paid on an annual rather than weekly or monthly basis, the procedure outlined above may clearly be inadequate. 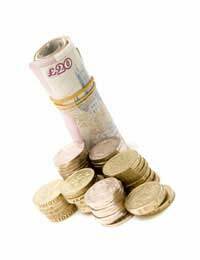 How annual bonuses will be handled in the event of redundancy may be specified in your contract of employment. If it is not, many employers will offer a pro rata payment for the part of the year already completed before your employment ends. If the employer chooses to be difficult, however, things become more complicated. The law itself is unclear about how this situation should be handled. Bonus-related disputes which have gone to court, however, have established some precedents. How bonuses have been handled when employees have been made redundant previously within the same company has been judged to be significant; in addition, how such matters have been handled by comparable companies within the same industry has also been judged to be significant. If you find yourself in this situation, therefore, there may be some scope for you to take legal action against your employer, or to push for a settlement with either an implicit or explicit threat of legal action if no reasonable accommodation is made. When the payment is made on a discretionary basis, the employer’s discretion has been found to be not unlimited. If, for example, your performance during the year can be shown to have been outstanding, and your employer arbitrarily refuses to make a bonus payment to you, a court may find that the employer has acted unreasonably. If your employer normally finances part of your bonus to be received as tangible benefits rather than cash, for tax purposes the benefits are converted into a cash amount and thus will count towards your £30,000 tax-free upper limit. Bonuses are one of the greyer areas of redundancy handling. Although the subject is perhaps inadequately addressed by existing legislation, custom and precedent have established some general principles which can provide a sufficient basis for taking action against an unreasonable employer in some cases. I have just been put on consultation for redundancy along with 2 teammates as a result of a takeover by a big US Corp. I have been with the company for 8 years in a sales role, earning monthly commission and 2/3 months also a performance bonus. This commission and bonuses make up over 60% of my salary. Will my redundancy pay calculation include these, or does it only have to cover my basic, which is only actually 40% of my actual earnings? Thanks in advance for any advice. My wife was made redundant from a company who operate as an employee ownership trust. This would usually entitle her to a cash bonus tax free up to £3600. She has just received her bonus but has been taxed on it. She was made redundant in October with the bonus cut off date the end of January. The company say if she was there till January she would not have paid tax. Is this correct or should she still get it tax free? I have just received a notice of termination of employment due to redundancy only 2 weeks (zero working days I was on Christmas leave). The letter states that the consultancy period has concluded and that the company confirm that I (only me know one else) has been selected for redundancy. 14 days ago I had been called to the GM office without warning and in the first 20min meeting was informed that I would be made redundant. In this meeting I asked where and when did any meaningful consultations take place and could I see the process of prevention and finally selection. I was asked to leave and to attend a meeting the next day. The next day in the second 10min meeting I was asked if I would consider alternative employment to which I replied yes. I was asked to go home and await further written instructions and that I would be sent a letter detailing the process and a transcript of both meetings as well as other policy and process documents that would qualify my selection. In the closing of the second meeting the GM was insistent that my position was redundant not me! But also disclosed that the responsibility of my role would be distributed to others including the director portion to himself, in the letter received today my responsibility will be handed back to head office.I have now been formally dismissed and feel the process was wrong but I'm unsure what steps to take next. You don't say how long you have been with your employer as you would not be able to claim unfair dismissal unless you have been with your employer for two years or more. In this case you would need to give ACAS a call in order to explore your options, if you have been with your company for longer than two years. I have just received a notice of termination of employment due to redundancy only 2 weeks (zero working days I was on Christmas leave). The letter states that the consultancy period has concluded and that the company confirm that I (only me know one else) has been selected for redundancy. 14 days ago I had been called to the GM office without warning and in the first 20min meeting was informed that I would be made redundant. In this meeting I asked where and when did any meaningful consultations take place and could I see the process of prevention and finally selection. I was asked to leave and to attend a meeting the next day. The next day in the second 10min meeting I was asked if I would consider alternative employment to which I replied yes. I was asked to go home and await further written instructions and that I would be sent a letter detailing the process and a transcript of both meetings as well as other policy and process documents that would qualify my selection. In the closing of the second meeting the GM was insistent that my position was redundant not me! But also disclosed that the responsibility of my role would be distributed to others including the director portion to himself, in the letter received today my responsibility will be handed back to head office. I have now been formally dismissed and feel the process was wrong but I'm unsure what steps to take next. @Gez - Only if your company says you are. Bonuses are not compulsary but are seen as voluntary gifts. Hi I'm now going through a redundancy process I have work for the company 1 and 8 months n I'm getting laid off on the 22nd of December am I entitled to the statutory pays over Christmas? I am sorry ot hear this. If your term of service is under two years (including the consultation process), then unfortunately, you are not entitled to statutory redundancy pay, please see gov.uk link here. My company normally pays our annual performance-related bonus in Mid April, for the calendar year prior (i.e. they pay 3.5 months after the performance period). My actual performance this year is likely to hit "Outstanding" However, I am being made redundant between the end of the calendar year and the payment date (i.e. I have completed the performance period, but it hasn't yet been paid). My company is intending to pay the absolute minimum "meeting expectations" payment, and is refusing to acknowledge the higher performance level, despite the fact that I will have worked the entire performance. Other employees will continue to work for the company, and receive "fair" bonuses in April. Is this legal? @Matt - if it is stipulated that it is taxable then it is. Rob. @Ray - I think in this case it would be a good idea to give Acas a call via the link here to see whether your company is within its rights or not. I was made redundant by my employer after 23 years service on March 8th, The company paid a yearly bonus every year but is refusing to pay my bonus as they say the Qualifying date is the end of March. I find this to be unfair not paying me a bonus I have worked all year for, is there anything I can do. @Bren - it's hard to say specifically as you will need to look at your contract to see if it has anything relating to your bonus payment. You might want to give Acas a call, who can probably advise if you give more detail. I have included a link to its Advisory Booklet - Redundancy Handling here which may also help here. I hope this helps. In my contract it states that I get £21,000 a year Whitchurch is broken down as monthly sallery of £1300 and a monthly fixed bonus of £420. The company is only payin redundancy based on the £1300. Is this right or should it include the monthly bonus too?